We provide security for your property to prevent the the entry of Squatters. We can sheet up your properties in an efficient and cost effective manner. With our rapid response times we can have your property secure within hours of the property becoming vacant. We also offer an eviction service where we can wait on standby whilst tenants are removed from the property. In 2004 were commissioned to secure properties on the Heygate Estate as part of the Elephant and Castle regeneration project. We successfully completed the project in 2014 in which 1200 units were decanted and subsequently demolished. During this process we encountered many obstacles which along with our clients The London Borough of Southwark we overcame and gained a wealth of experience dealing with tenants and reacting to emergency call outs. Within the last 10 years we have successfully completed the securing of The Elmington Estate SE5, The Neckinger Estate SE16 as well as various standalone dwellings. 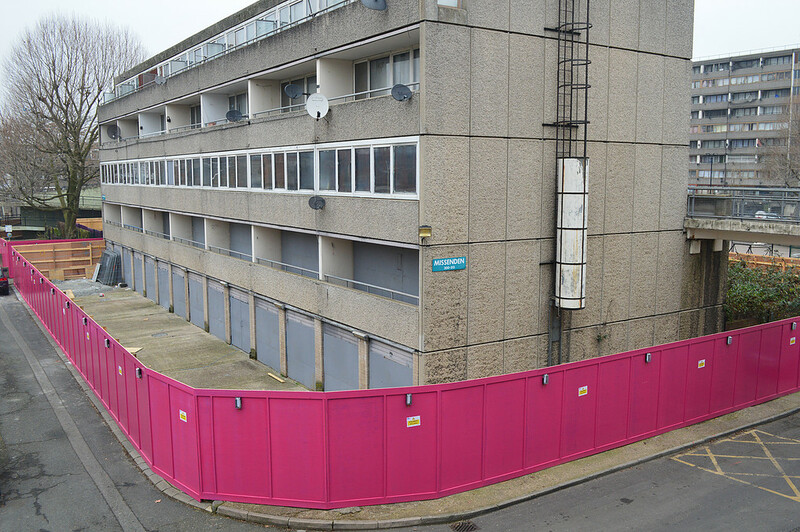 We are currently securing The Aylesbury Estate again as part of the Elephant and Castle Regeneration Scheme which totals 3200 units.